Rosettes of smooth spineless foliage have a distinctly blue cast (A. 'Blue Flame' is similar). 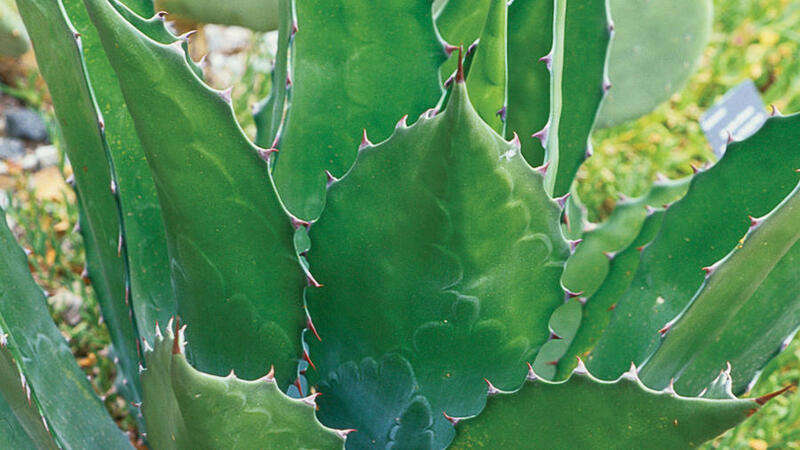 Leaves grow 2½ feet long. Prefers a bit of shade in low desert. Pale green rosettes can reach up to 6 feet wide. 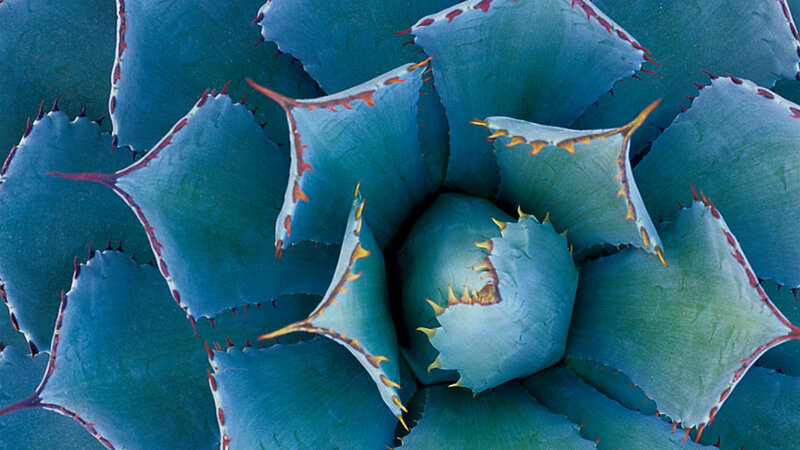 Fleshy leaves twist like octopus tentacles, hence its common name, octopus agave. No teeth to worry about; just one terminal spine. A small, 2-foot-wide dark green species decorated with white margins and fuzzy white filaments. Good in containers and planted directly in the garden. 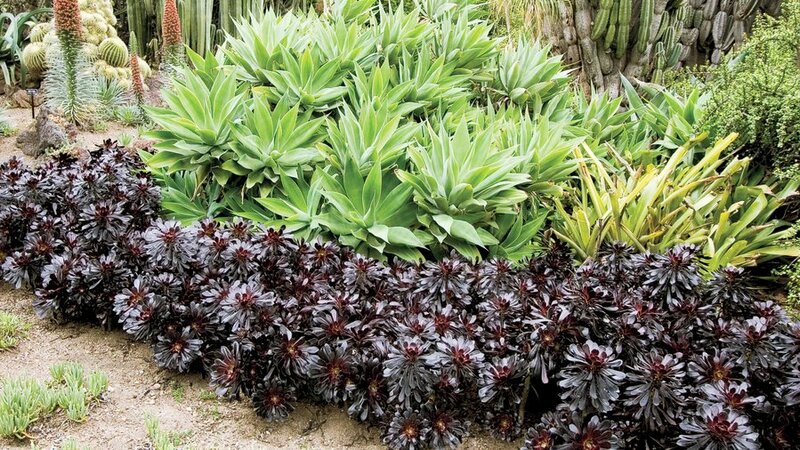 Forms a dense rosette of 2- to 3-foot narrow green leaves with curly white filaments. Great in containers. Provide light shade in hottest desert areas in summer. 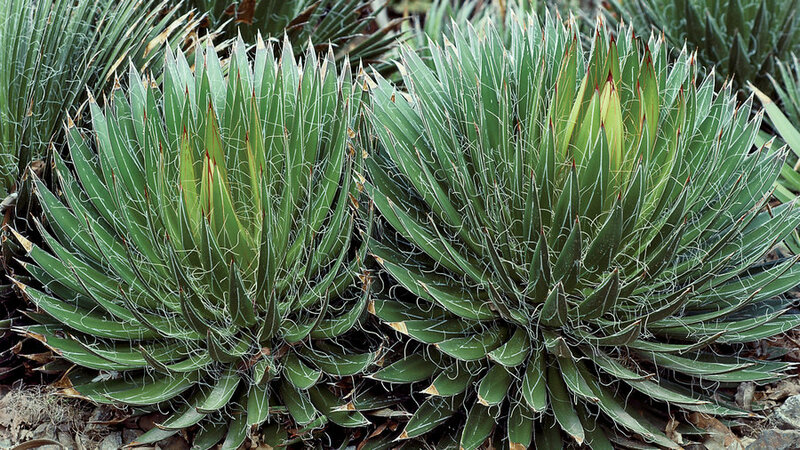 One of the most cold-tolerant species, it grows at elevations up to 9,000 feet in the wild. 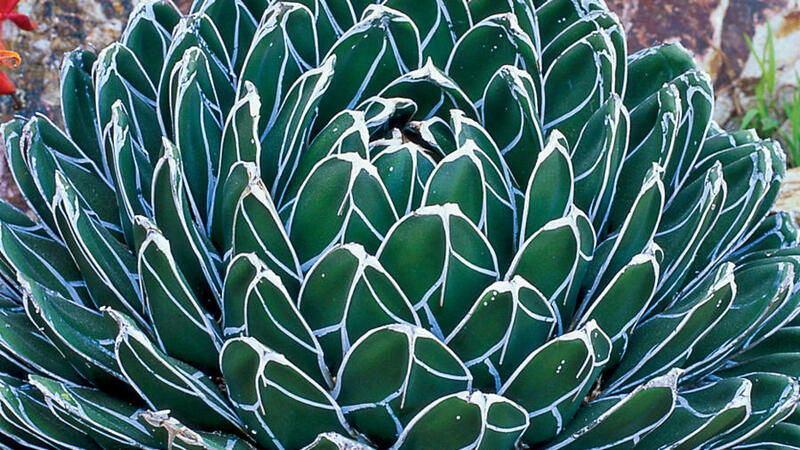 Looks like an enormous artichoke. Fairly large: 4 feet tall by 5 feet wide. Only 2 feet in diameter, this beauty is petite enough for any garden. 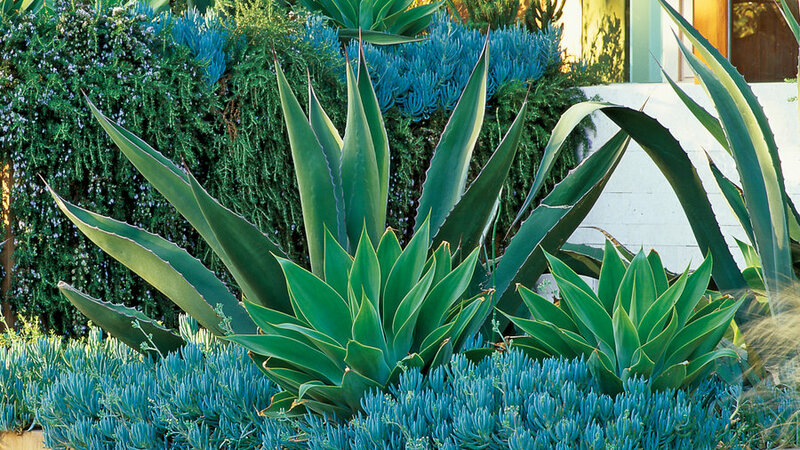 Blue-gray leaves with reddish spine tips. Attractive in pots. 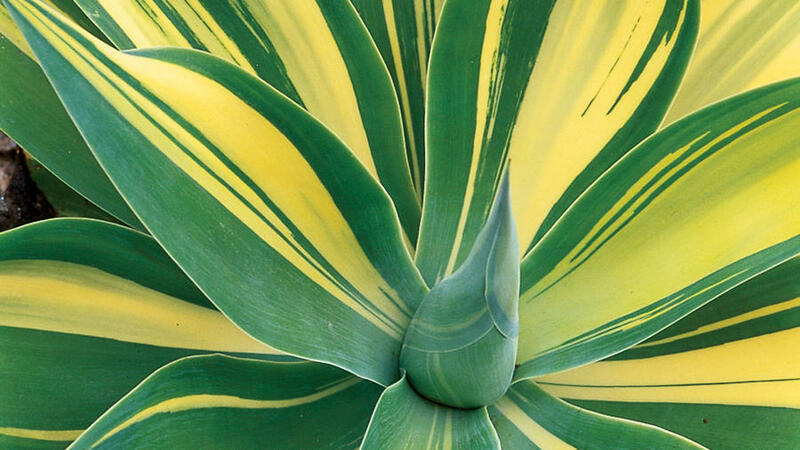 Spineless pale green agave with creamy yellow stripes. Leaves grow from a curved stem that develops into a 5-foot-tall trunk. Frost-tender. Great by pool or beach. 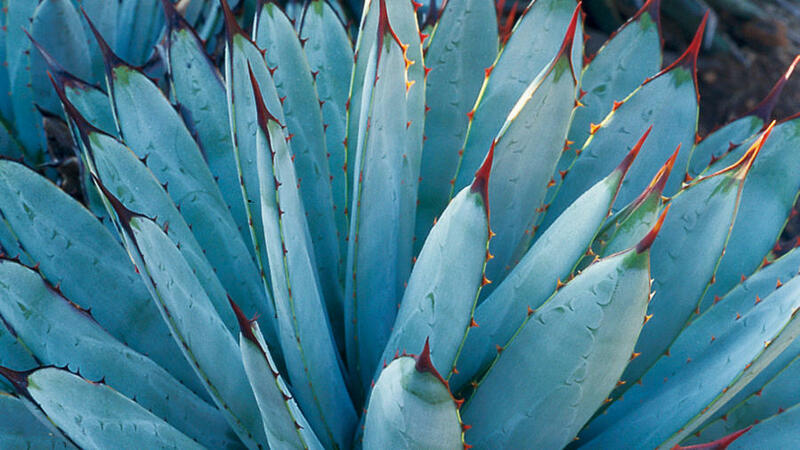 A small blue-gray agave is a welcome thing ― most are much larger. 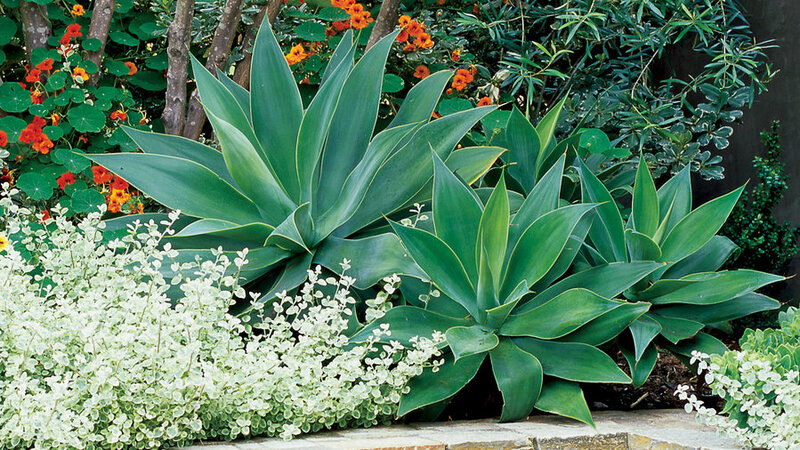 Modest 1½-foot size makes this species useful in containers, on patios, and in borders. 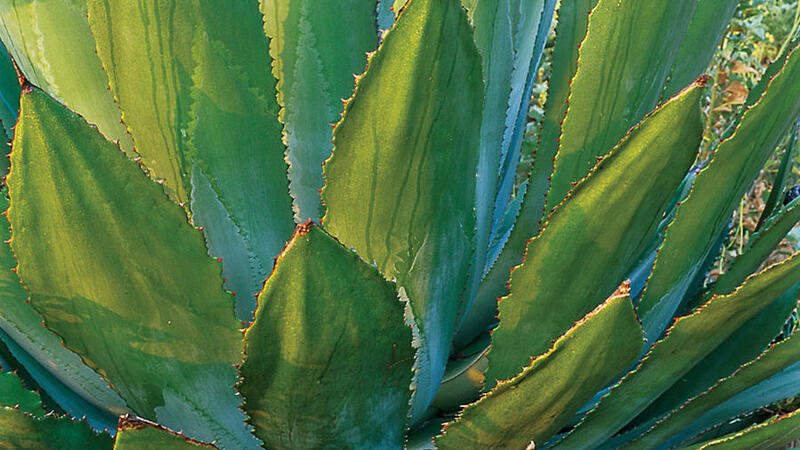 A smaller agave (3 feet in diameter at maturity) with a beautiful arching shape. Leaves range from light yellow-green to dark blue-green. 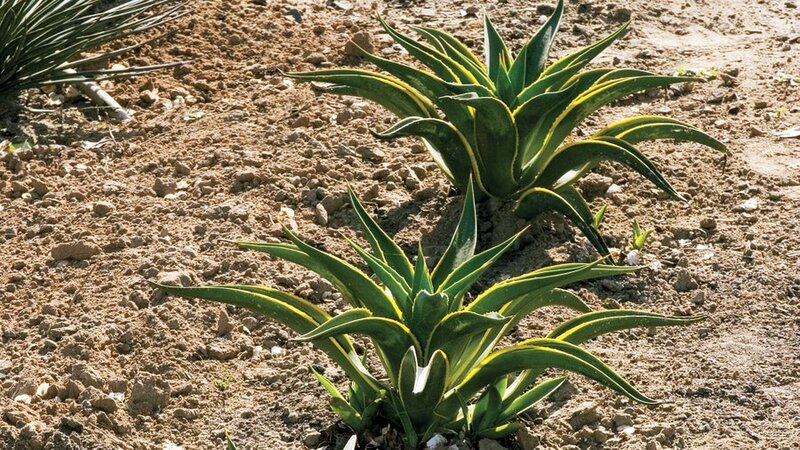 Variegated forms are particularly prized. Best in shade in the low desert. Beautiful in large containers as well as the ground. 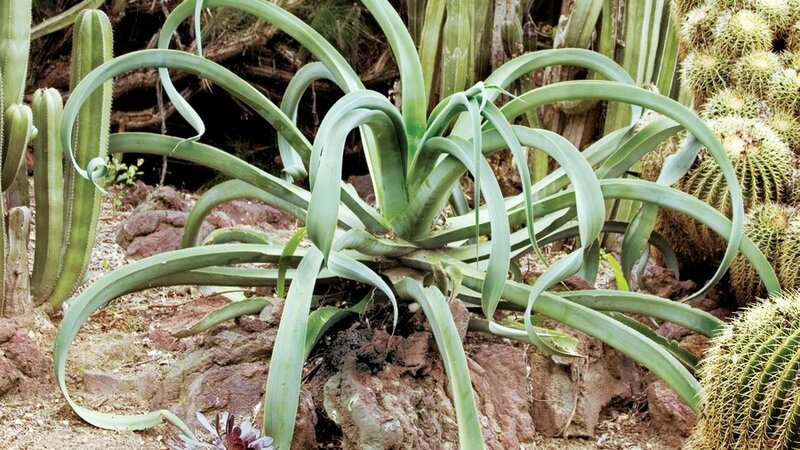 Magnificent urn-shaped plant with wide leaves. 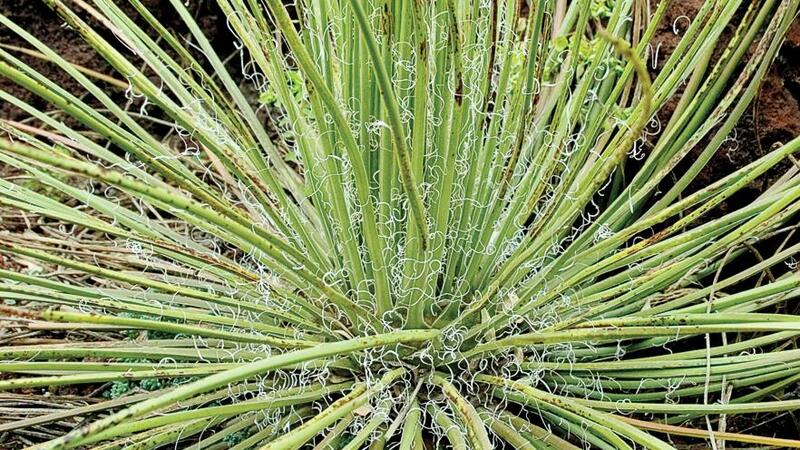 Grows 4 feet tall and 3 feet wide. One of the most popular species. 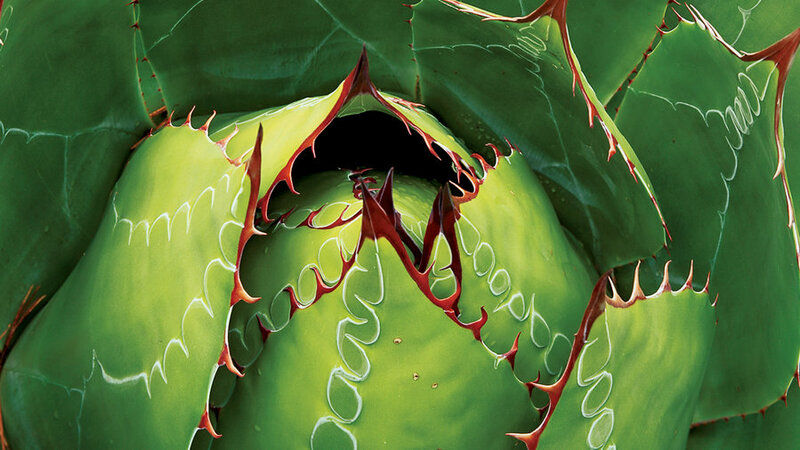 Beloved for its small size ― 18 inches across ― and beautifully marked dark green leaves. 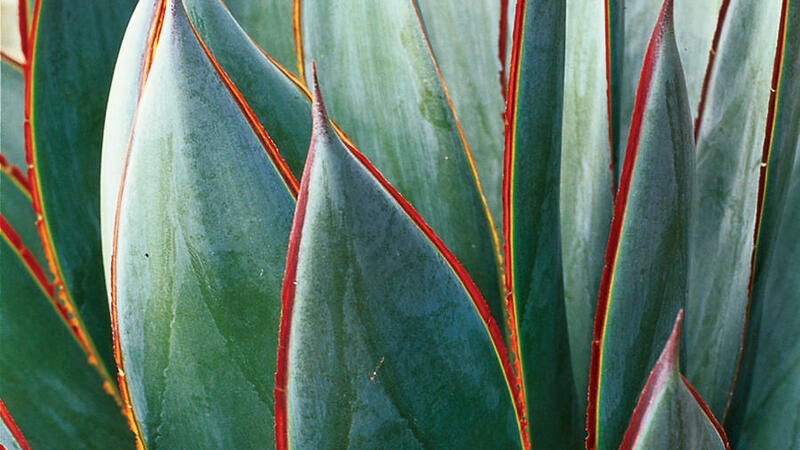 Cow horn agaves have glossy leaves that widen out like a spatula before ending in red-spined tips. Grows about 3 feet tall and 4 feet wide. 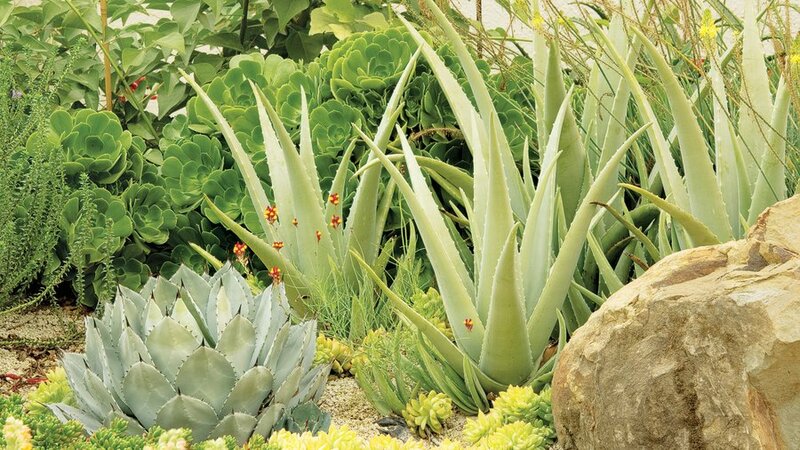 In this great combination A. americana accents a planting of blue Senecio mandraliscae that tumbles over a wall, as aloes and rosemary 'Severn Sea' grow behind.